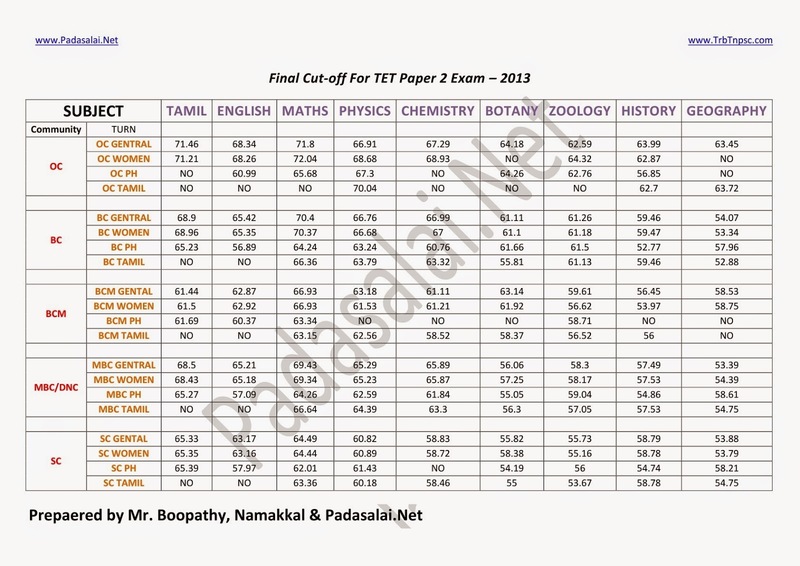 Tamilnadu Teachers Eligibility Test TET was Announced on June 2013. TET Exam conducted on August 2013. The results for paper 2 was published on November 2013 and the certificate verification was conducted on January 2014. The vacancies position and new scientific method weightage go (GO No: 71, Date: 14.7.2014) published in June 2014. The vacancies notification & Weightage correction camp dates announced in July 2014. 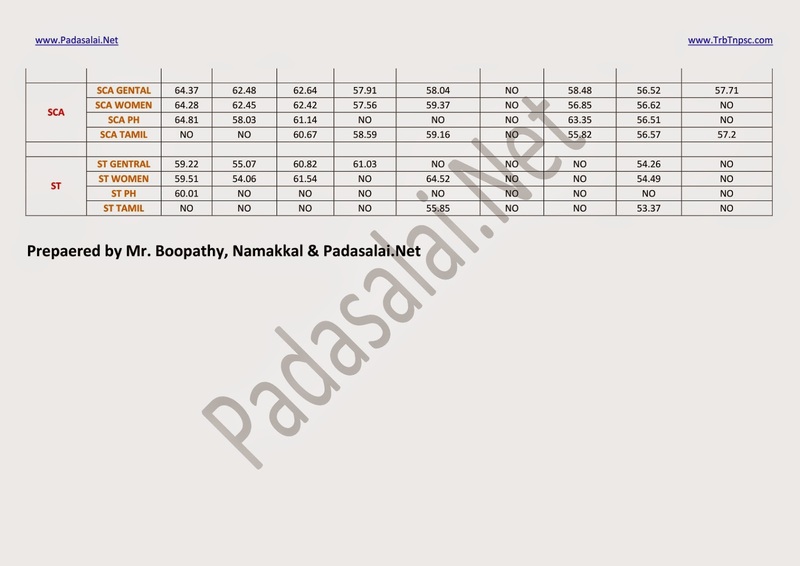 Now the final selection list for paper II is release in TRB website on 10.08.2014 time: 3.00 p.m. Now we prepared TET final cutoff for TET paper 2 Exam based on TRB TET final selection list. If any correction please give your valuable comments in below comment box. Thank you.